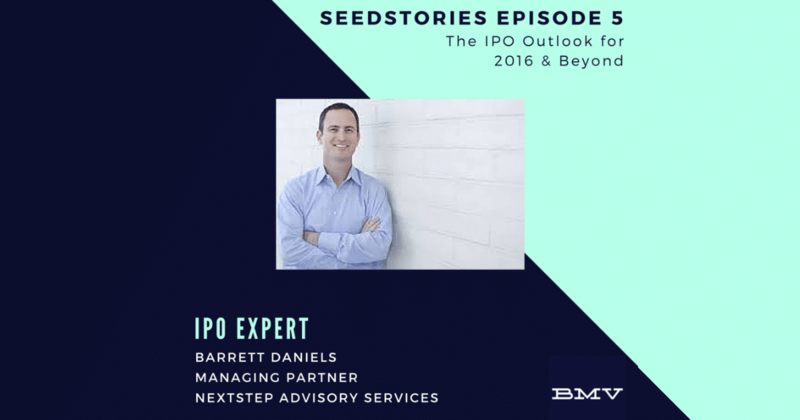 We recently had the chance to sit down and chat with Barrett Daniels (@barr5tt), Co-founder and Managing Partner at Nextstep Advisory, for our latest edition of the SeedStories podcast. Barrett is an expert in IPO-related technical accounting and I caught up with him to discuss the Twilio IPO and what it means for Silicon Valley. He has worked on 50+ IPO and S1 engagements over the past 10 years across Silicon Valley – so he’s definitely the right person to be talking to. We hit on if the Twilio IPO will get other unicorns looking at the public market again, if it could set up dominoes following in M&A with Lyft & other companies, and what it means for early stage startups trying to raise capital today.